One of the reasons T5 grow lights are the most popular of the fluorescent grow lights is due to their simplistic installation and design. There is no need to fiddle around with little LED bulbs or various lights, all you might need to replace a long tube or two. 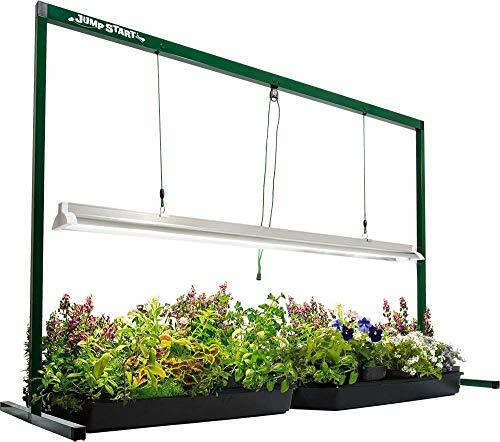 Some T5 lights come with a hanging setup, which gives you pretty much all you need, just place your plants underneath in whatever hydroponic setup you have. There are also T5 grow lights that let you customize with the option of hanging them overhead, vertical or horizontal. T5 grow lights do provide your hydroponic plants with a full spectrum lights another reason why fluorescent grow lights have stood the test of time compared to spectrum restricted grow lights such as single LED, HID, and Plasma lights. All T5 lights come within a reflecting case, increasing the penetration by 95% compared to single LED or HID bulbs. This makes them perfect for all growth stages but there are a few things you may need to consider before you choose which T5 light is for you. This hydroponic grow light would easily make my top 10 grow lights period. This T5 as its name suggests is a jump-start for starting up a hydroponic setup. This grow light comes with a fixture that is ridiculously easy to assemble with few parts and boasts 4 x 4” 54W bulbs. This fixture stands at 7”8’ tall with the option of purchasing a 2” extension set. 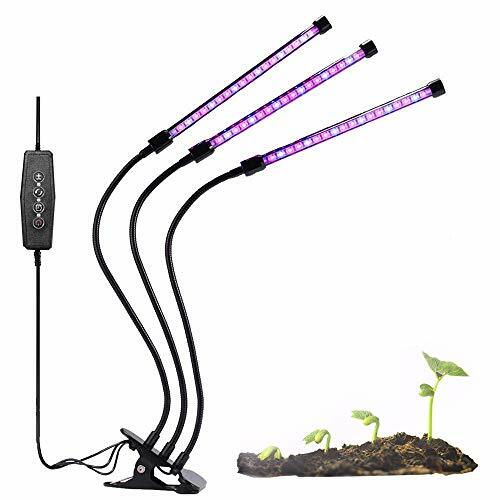 This product is easily the most popular for start-up hydroponic gardeners, an all-rounder grow light at a great price. This product has the ability to fit most small medium hydroponic gardens and with the 4” long tubes provides more than adequate full spectrum light for your plants. Like the product above this T5 light boasts 4x 4” 54W fluorescent tubes making it perfect for small/medium gardens on its own or perhaps to add to an existing hydroponic set-up. This product may be little more expensive than Hydrofarm T5 light and as you might see is without the frame or fixture, but don’t be discouraged this product could still be for you. The frame free T5 light allows more versatility with where you would like to hang them especially for a garden with little personal maneuverability. Unlike my number 1 this product can be applied to possible for a larger garden bed when hung over small plants requiring less penetration. This product also comes with an 8” power cord for those who want to ditch the extension cords. The only reason this comes in at number 3 and not 2 is customer reviews. This product is about on par with the AgroBrite, with similarities in bulb strength, length, and mechanical design. But! This product has my favorite feature of all grow lights, big call yes but favorite feature: it can be hung overhead, vertical or horizontal. To suit whichever set-up or size constraints you have! Also, the DuroLux T5 light boasts a 15” power cord for the hard to reach areas whether it be a long distance from the electrical socket or for the vertical rise. All in all, DuroLux is a highly recognized brand and won’t disappoint especially if you enjoy the 3-way hanging design like me! This product, once complete has to be one of the cutest hydroponic T5 lightings setups I have ever seen! The set-up is not as simple as the Hydrofarm and for those of you who are not too handy, you may need to ask for help. Although once complete this has everything you need for a small hydroponic set-up, it has a sturdy design with 2 x 2” 26W bulbs. The only downside of this product is that although it’s perfect to penetrate small-medium plants, however, they must not grow above 2” tall. This product is the cheapest on my list and perfect for the small-scale hydroponic grower, perfect for a small garden, place your plants underneath and let them grow away. You may notice this T5 grow light is the most expensive on my list, and for a very good reason, it’s for a larger scale garden. Alike my top 3 this product has 54W globes, but instead of 4, this product boasts 8x 4” tubes penetrating further than any other product in my top 5. Hydro Crunch products are very popular with the hard-core hydroponic gardeners and for a good reason. They are good quality, reliable and not for the beginner/faint hearted with these T5 grow lights able to cover a large area. If you want to extend your garden or require more power and penetration for your existing set-up this is for you. Don’t forget your paying for the quality of design and good quality globes! Seems simple but many don’t take into consideration their current garden size, as the right T5 light needs to be big enough and strong enough to supply enough light to sustain your plants needs no matter the growth stage. The T5 lights that appear in my top 5 rated range from 2” to 4” long and with heights from 2” to as high as you can hang (those without fixtures). I have included options for small to medium (to large), just make sure you are calculating to your garden size or thinking ahead for perhaps an extension to your hydroponic setup. Don’t forget, grow lights are generally long lasting and should be seen as more of an investment. Plant growth, that’s important, if you're looking for value for money you need to consider your plant's growth stage will you be starting from scratch or maintaining an established plant. 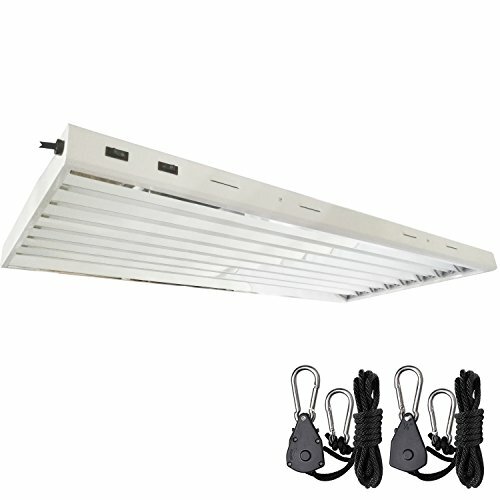 This important as some T5 grow lights come with fixtures, which is very convenient and no fuss rather than safely securing a hanging light from your roof. The only thing is, will your plant outgrow the fixture? Keep that in mind. This is always an important one, my top rated T5 lights range from around $50 - $150, therefore, you should be able to find a product for you. If you're looking cheaper, try HID or LED lamps although more hassle does not provide a full spectrum. Just saying! I’ll sum things up just like this. ​For the smallest gardens, I would recommend you go with the Apollo Horticulture Purple Reign, or if your unsure if you may extend your garden go for the Hydrofarm to allow some room for growth. For medium gardens, you should pretty much just go for the hanging options in my number 2 and 3 providing adequate penetration for your plant's needs. For a large garden, your only real option is the Hydro Crunch if you need more you may have to go commercial. ​For small plants it will be better to go with a T5 light with a frame, two products are included on my list at number 1 and number 4. The Hydrofarm T5 light allows some growing room as it stands up to 7” with the possibility of purchasing the 2” extension. 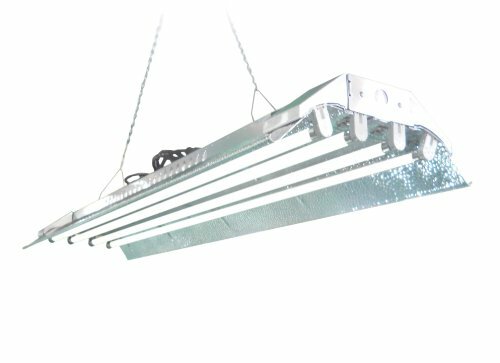 For medium to large plants you should go for a hanging T5 light, you won’t need to purchase extensions but you may, only in exceptional circumstances if you properly plan your blueprint for grow light positioning may have to alter the hanging height. This can be tricky but none the less you still have the versatility of moving the light around and not compromising floor space. By budget, as I said if you’re willing to pay between $50 - $150 for hydroponic grow lights you will find something for you. So there you are my top 5 for those on a budget, those who want versatility, those who have a small garden or those that have a larger garden. The choice is always up to you; there are many positives with T5 grow lights such as the reliability, full spectrum range, and longevity. You can’t go past the fact that many loyal fluorescent loving hydroponic growers have invested years or hard earned cash into these products. The manufacturers I have listed above are not only the most popular but also the most established, with proven results and rave reviews.